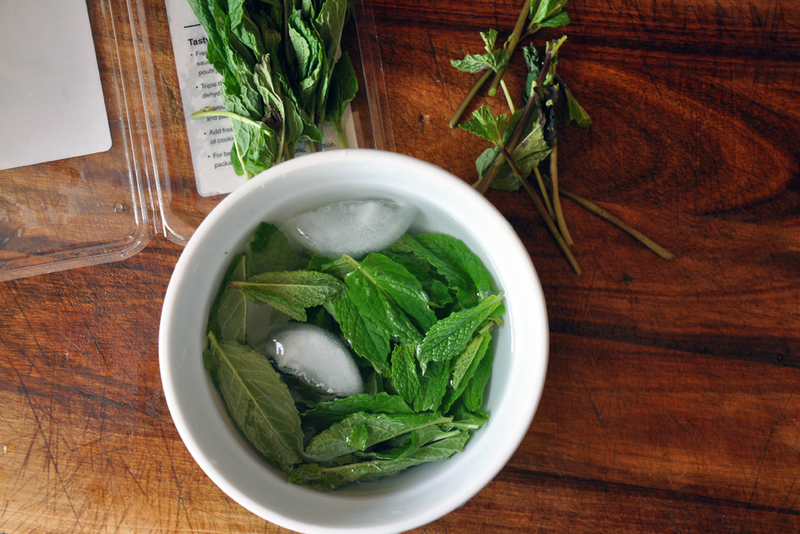 Plucking the mint leaves into a bowl of ice water will keep them looking fresh. 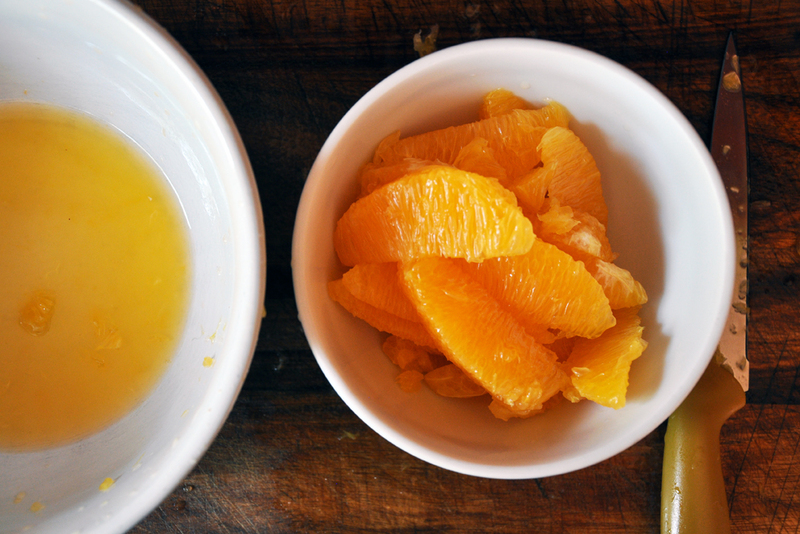 If you need a quick 'how to' on making orange supremes or segments, click the link above. 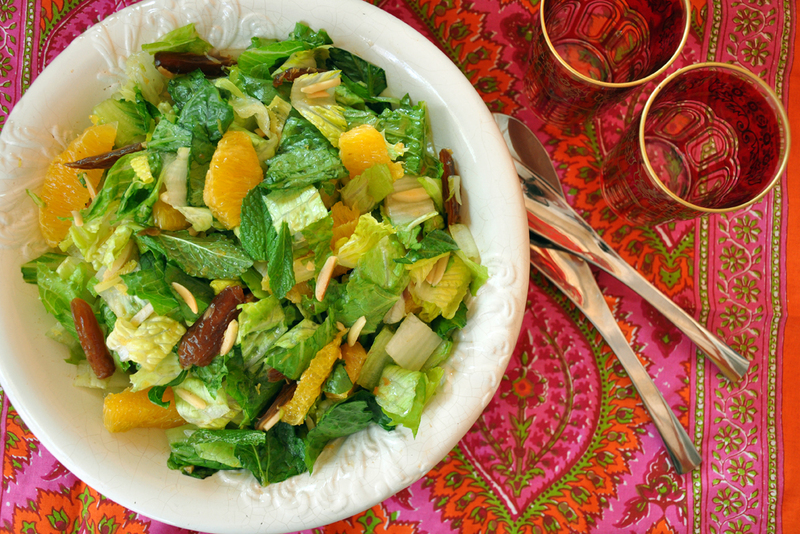 Toss the almonds, dates, mint and romaine together in a bowl. 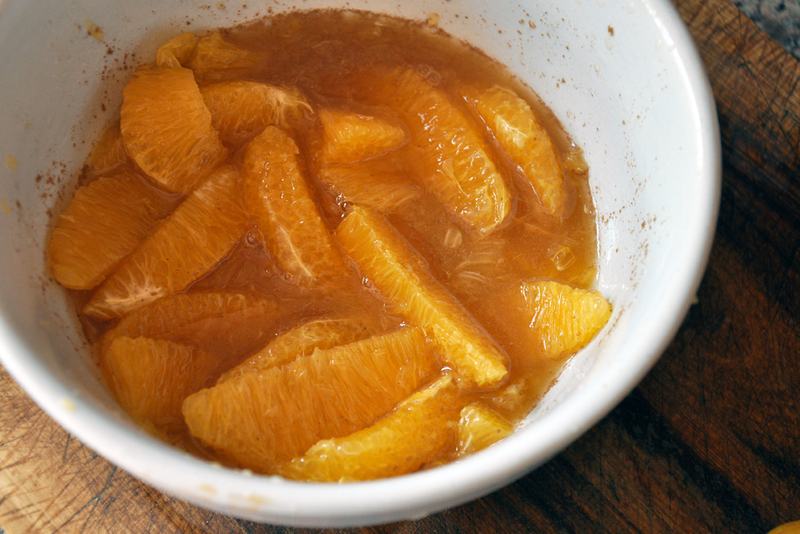 Add orange supremes with the dressing to the salad and toss gently. Serve cold.